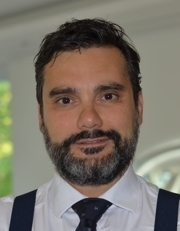 Carlos Lahoz is Kia Europe's director of sales, business planning and supply chain management. Automotive News Europe salutes the winners of the 2016 Rising Stars awards. Every day through June 6 one of the 15 winners will be featured. The Rising Star for Sales OEM is Carlos Lahoz, who is Kia Europe's director of sales, business planning and supply chain management. The 2016 Rising Stars will be honored at BMW World in Munich, Germany, on June 7. For more information, click here. The prestigious Automotive News Europe Rising Stars awards are jointly presented with our sponsor, PwC, as well as our partner, Korn Ferry.